RENSSELAER, N.Y. — NYISO stakeholders last week discussed how pricing carbon in the wholesale market will impact the ISO’s Tariff, while additional materials posted by the ISO provided insight into how it will handle residual allocations stemming from carbon charges. “Tariff revisions will be necessary to effectuate carbon pricing in the ISO’s markets,” Ethan D. Avallone, NYISO senior energy market design specialist, told the Market Issues Working Group (MIWG) on Jan. 22. Avallone provided an overview of the Tariff sections impacted by a carbon charge and that will be reviewed over the coming months, mainly related to the social cost of carbon (SCC), emissions data reporting, emission rates in reference levels, credit requirements and the carbon component of locational-based marginal prices (LBMPc). Stakeholders will begin discussions on revisions to credit rules, if necessary, this fall, Avallone said. To avoid delays, any related Tariff changes will be separate from the second-quarter vote on implementing the carbon charge. Several stakeholders said that if there’s a chance that a carbon charge will have a material impact on suppliers’ credit requirements, they have a right to know ahead of time what that impact will be. “Our approach here is to assess the credit impact once we know the market design,” Avallone said. The MIWG has scheduled meetings to review the carbon pricing Tariff revisions for Jan. 31, Feb. 15 and March 18. 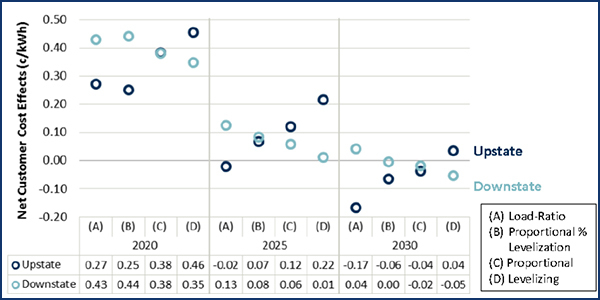 NYISO is recommending that the carbon charge residual resulting from levying suppliers for their emissions be allocated proportionally to consumers across all zones to ensure an equitable impact, consistent with the current allocation of renewable energy credit costs, Avallone noted in slides not presented to the MIWG because of time constraints. The carbon residual is the total dollar amount of carbon charges collected by the ISO from suppliers and allocated to load. According to Avallone’s presentation, load-serving entities would pay the full LBMPc to suppliers, who would then pay NYISO the carbon component. 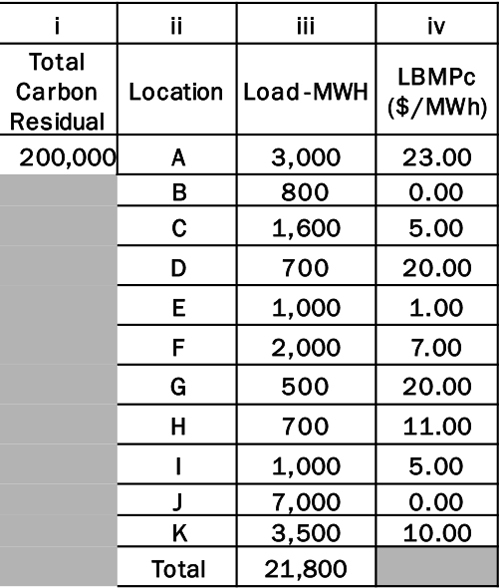 The ISO would then allocate the carbon residual to each zone based on its LBMPc. The allocation would use the LBMPc from the binding real-time interval (nominally five minutes) to calculate the time-weighted integrated (TWI) LBMPc, according to the presentation. Supplier emissions would be reported on an hourly basis, so the carbon residual would therefore be on an hourly basis, and the ISO would use TWI LBMPc, the hourly carbon residual and real-time actual internal load to determine the allocation. 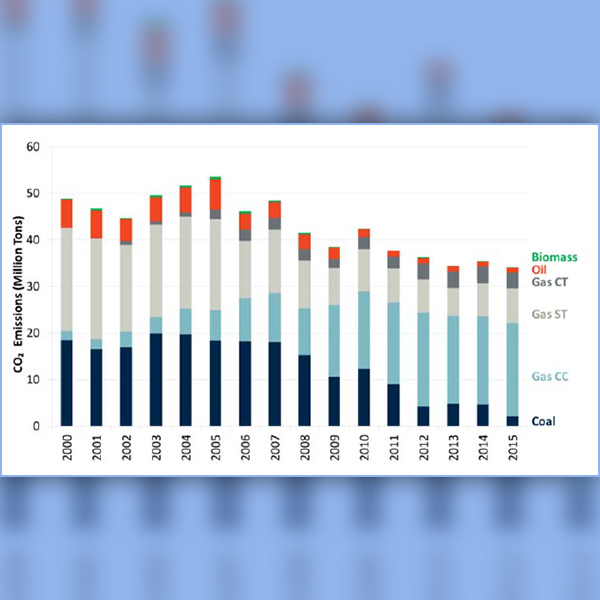 NYISO is considering how to calculate the carbon residual allocation under two scenarios thought to be unlikely, according to the presentation: if the LBMPc for a given zone is less than zero, and if the carbon residual is less than zero. The ISO expects the LBMP to increase slightly under carbon pricing to reflect the emissions of the marginal unit, and carbon-free opportunity cost resource bids are likely to increase as a result of carbon pricing in some hours. The MIWG will discuss calculating the LBMPc and identifying the marginal units on Feb. 15, and on March 4 will cover carbon bid adjustment for opportunity cost resources.